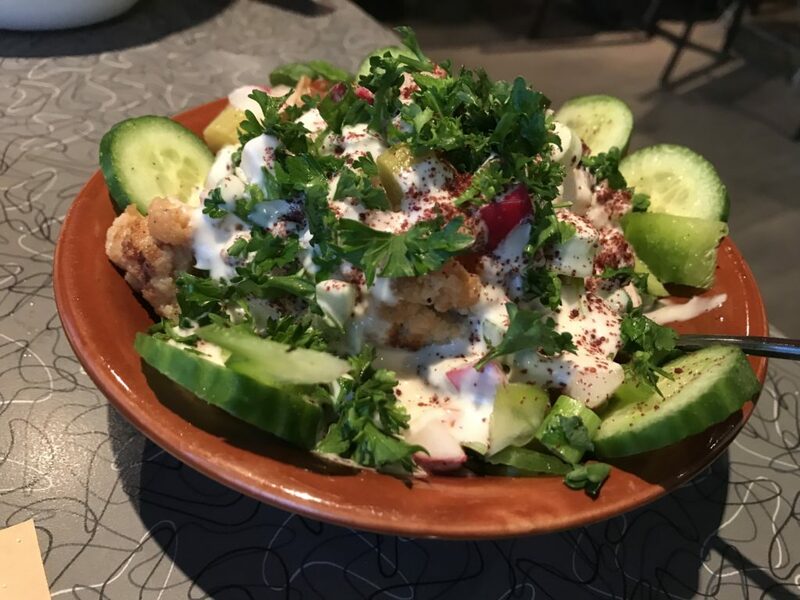 Whether vegan, veg-curious, taking part in veganuary, or just into good food, New West is becoming something of a vegan mecca. Delicious options are everywhere and more restaurants are offering veg menus or items that are specifically marked. It’s good to be vegan in New West! I love V Cafe. There, I said it. I could eat at V every single day, but usually try to keep it to a modest 2-3 times weekly. 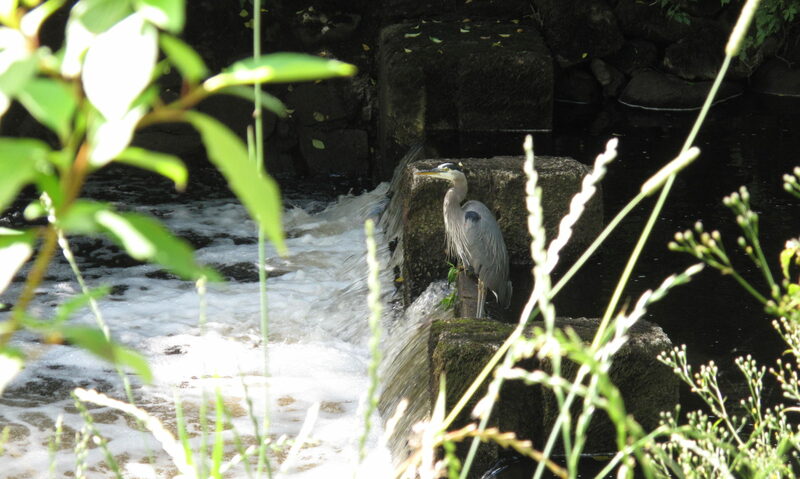 Look, I’m not the only one – whenever I go in, I usually recognize half the folks as regulars. Everything looks delicious, but you can’t eat it all in one go. Start with the lemongrass chicken salad roll. One order comes with two generous rolls. Don’t be embarrassed that you’ve been back three days in a row. You are now ready to move on to the pho. They’ve also got a curry soup with noodles or bun that is a great cold weather meal. 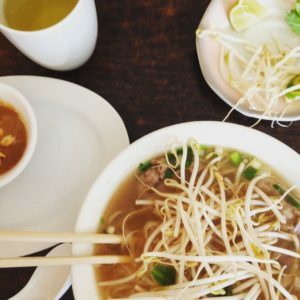 Is the top of your mouth scalded from daily pho consumption? 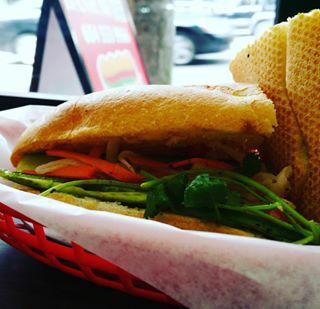 You may now want to progress to the banh mi. I’m partial to the lemongrass chicken but their entire fake meat selection is delicious (and I’m not even a fake meat person! I’ve brought in non-veg folks and they were overwhelmed by the yumminess too!). I like a banh mi with their small bowl of soup. You are now ready. 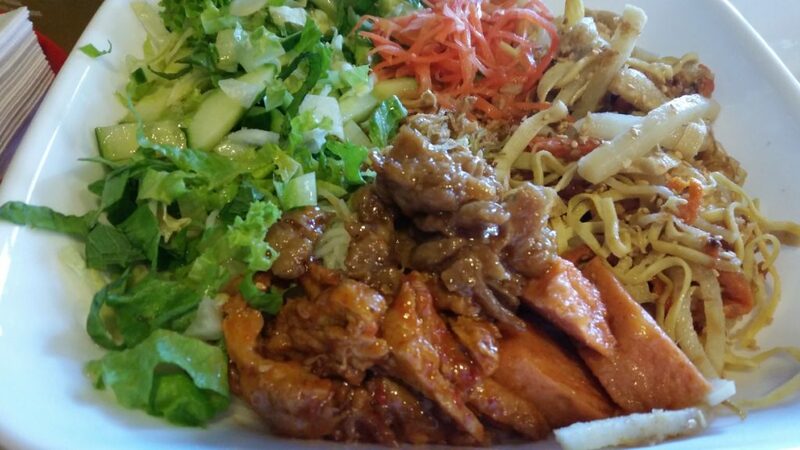 Order the vermicelli salad bowl. It’s everything in one big party – different types of fake meat including the lemongrass chicken, vermicelli noodles, thinly cut veggies, the sunshine salad dressing. I have more to say about it, but you’ll have to excuse me…I’ve got to head over to V Cafe to get my fix. Insider tip – ask for their homemade hot sauce! If you haven’t yet tried Wild Thyme, I’m not sure I should even be telling you about it. New West’s worst kept secret, this little gem is located on 12th Street. They recently expanded from a teeny, tiny hole in the wall restaurant. Prepare yourself: it packs a garlic punch. Step 1. Bring a friend. The portions are big enough to share. Step 2. Let the owner know you’re vegan and order the cauliflower bowl. Step 3. Dig into the warm pita fresh from the oven, fluffy and breathing off hot steam. Use your fingers. Step 5. Loosen your pants and dig into the cauliflower bowl. Step 6. Pack the leftovers in the Tupperware you wisely brought along. At one time, Wild Thyme was ranked the second-best restaurant on Yelp. Second best in Canada. For their 2017 year in review of best places to eat in Canada, Yelp placed Wild Thyme at #3. If you think I’m exaggerating then I know you haven’t tried them yet. The owners are charming. The location is handy. The prices are reasonable. And they have a vegan option with vegan mayo! I find it hard to believe that not too long ago we were almost banh mi-less in New Westminster. Fortunately for us, there has been a proliferation of Vietnamese sandwich joints open up over the past couple of years. If you like crusty bread, this is a great option. I like it with hot sauce and jalapeños — what’s your banh mi styling? Like vegan pizza? What about board games? 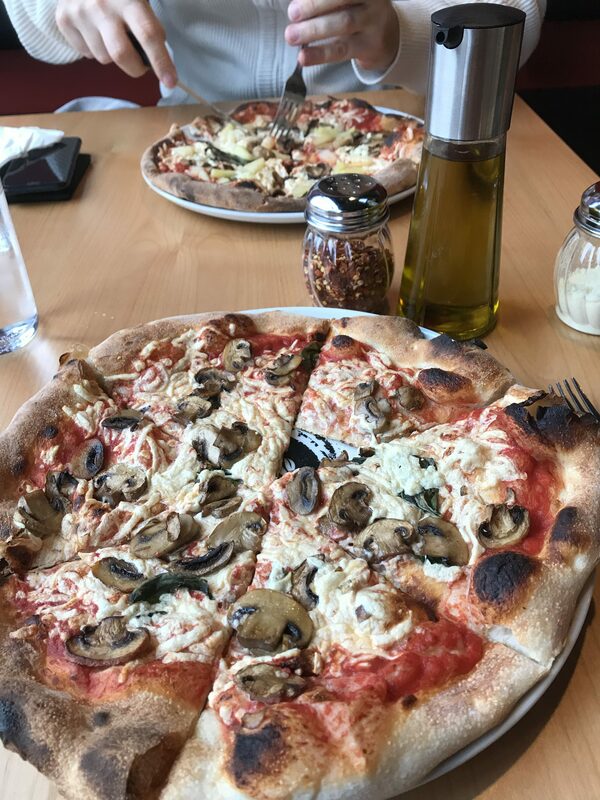 Pizzeria Ludica just opened in New West and it seems to be a roaring success. 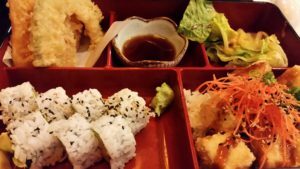 Roll the dice and check out this new restaurant! Ludica substitutes daiya cheese at no extra cost and their crust is vegan. I recommend the cheesey spinach which has three types of cheese you can substitute out. Sub daiya, mushrooms, and ….? They have a pretty decent selection of board games and the staff will teach you how to play new games. 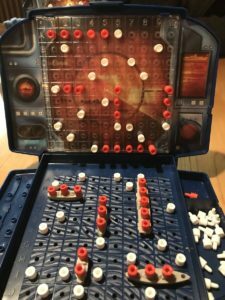 I’m currently 2-0 at Battleship if anyone wants to challenge me! Noodles? Hot soup? I’m in. When this spot on Columbia Street first opened up, I popped my head inside and was disappointed to find out they didn’t have anything vegan. I was delighted to learn that not too long after this encounter they created an entirely veg menu! They have a regular pho and a spicy pho that come with all the fixings – mint leaves, bean sprouts, lime. 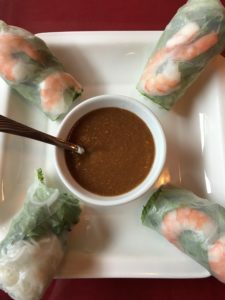 I’ve had great and not-so-great experiences with their spring rolls – the great experience was good enough that I’ll definitely give them another go and I encourage you to try for yourself! Warm up on the cold and mucky days ahead with some glorious soup! This newly opened spot in the New West skytrain station has only three soup options at the time of writing, one of which is vegan! The noodles are on the thin side, the broth flavourful with a healthy helping of sesame seeds. 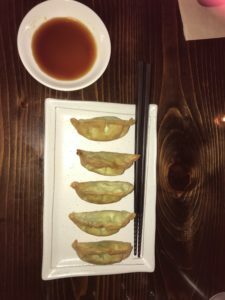 They also have a vegan gyoza option. I found the gyoza dry-ish, but also a refreshing change from overly oily dumplings. The service was an absolute A+. If you’re a noodle aficionado like me, you’re sure to appreciate this place. The ramen drought in New West is over! If you can’t already tell from by my restaurant recommendations, I’m not the trendiest person in town. I did try Piva soon after they opened after hearing they have a separate vegetarian/vegan menu. They are located on the happening corner at 8th and Columbia Street, in the base of the Anvil Centre. The view from the windows is pure New West. The restaurant is beautiful and the service excellent. I’m infinitely grateful whenever restaurants identify vegan options or items that can be made vegan. It always saves the awkwardness of asking, the server having to go ask the chef, then returning to say that no, it has eggs or cheese, then having to look at the menu and ask about another item initiating a repeat of the process. I digress. I tried the margarita pizza subbing some of the most delicious mushrooms I’ve eaten recently for cheese. 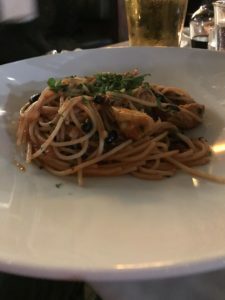 My dining partner had the nono pasta. His pasta was good, but did I mention the mushrooms? Juicy and flavourful. Next time I might just have the mushrooms. And wine. Definitely worth a try if you’re going for a fancy night out. I know right now everyone is talking cookies and tofurkey, eggnog and chocolate, but I’ve got another kind of winter warmer on my mind – pho. Pho is food I crave basically anytime I’m feeling a cold coming on, or anytime it is raining or grey (so basically October to March here on the West Coast, unless you are the Winter of 2016/2017 and then you were nothing but sunny and ice-freakin’-cold so same-same, really). I know ramen is all the rage, but as far as I can tell, ramen has not taken hold of New West the way pho has. What you like about pho is probably different than what I like about pho, so your results will almost assuredly vary from me. For me, it’s about the broth, primarily, but also about how well assembled all the bits are, and what the noodles are like. 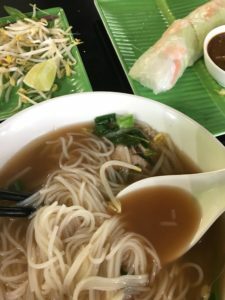 If you’re not familiar with pho, it is a Vietnamese noodle soup. It is typically made with beef broth, though a few restaurants have been introducing vegetarian versions. In New West, there is also V Cafe on the corner of Carnarvon and 8th Street, and I haven’t included them here because it’s really hard to compare a vegetarian version of pho with the beef broth version. But, the V Cafe is definitely worth a stop in as their daily specials are usually an awesome price and their menu is more than just vegetarian pho. 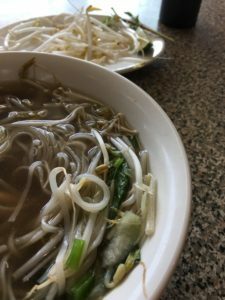 If you’re a pho-novice or have never tried it, Vincent and Mikey Kha, a father-son duo who own a pho restaurant give you a good primer of what goes into pho and how to eat it, plus a little note on pronunciation (which is why I didn’t call this post the “New West Pho-Down” despite that being a really incredible pun opportunity). 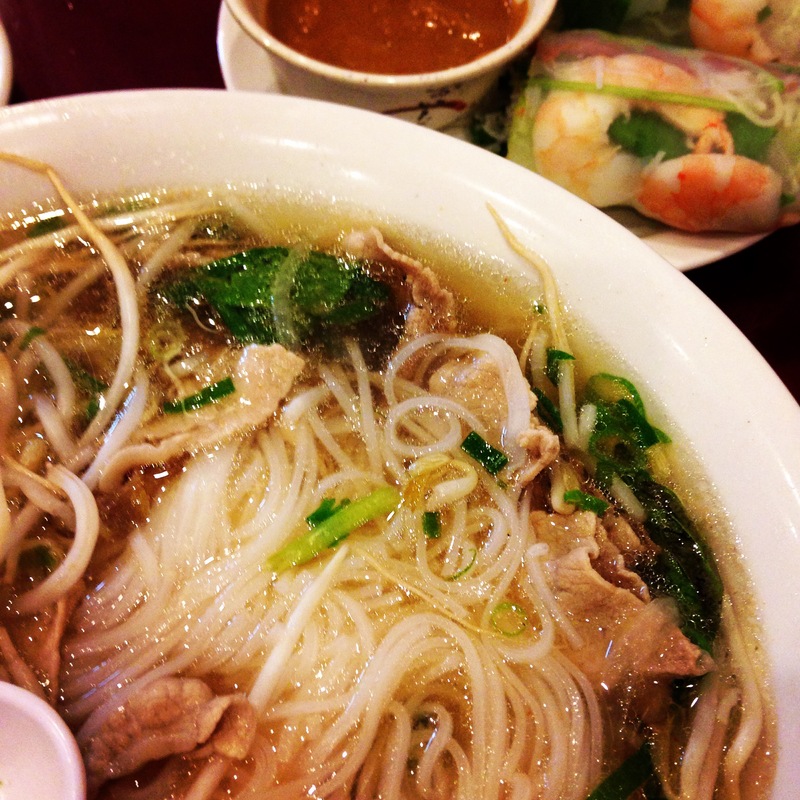 Pho is also typically cheap, hot, and fresh, with a special emphasis on the cheap part. I once considered making pho at home, but I cannot duplicate the quality you’ll get at even the crappiest restaurant for the price you typically pay, because of the work required and the long list of ingredients you need. Campbell’s recently came out with pho broth, but it’s somewhat telling that if you Google that, you will get next to no results returned that aren’t generated from Campbell’s themselves. For “science” for this Pho Tour, I ordered the same thing from each restaurant as best as I was able (small pho tai which is pho with rare beef steak in it, with ham and shrimp salad rolls, and tea), and I also consistently went at lunch. I applied a $ to $$$ rating based on what my bill was, rather than give you the specific bill amount, since that will change over time anyway. The TL; DR winner here in New West is Saigon Ivy, but read on for the details of the five restaurants I tried. Pho Chan is over on the east side, in Royal Square Mall at 800 McBride Boulevard. Downsides for me are that their salad rolls don’t have ham, just shrimp, and the restaurant is set up so that you can’t not watch TV, usually set to cooking shows.Pluses: the staff are friendly and service is decent. Plus, they use a deeper style of spoon than the typical white plastic pho spoon, which I liked. 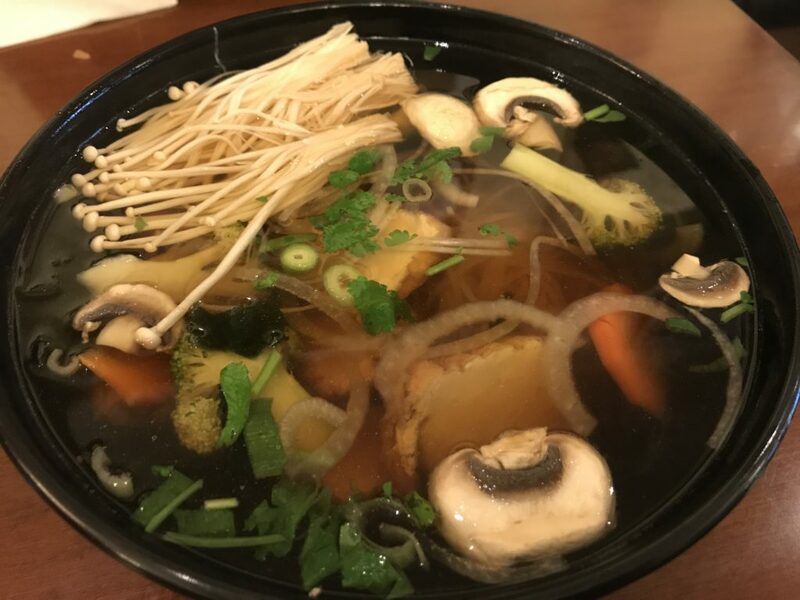 Their broth was nothing to write home about, but didn’t offend either, and that’s basically the entire restaurant’s review – nothing to rave about, but nothing bad. Pricing was slightly higher than I expected for what I got, but I didn’t feel it was out of line: $$$. Every person with dietary restrictions appreciates a well-labelled menu. Wild Rice has you covered plus they have what is arguably the best patio in the city. There’s even a scrumptious vegan dessert – a real rarity! From curried steam buns to a tofu kung pao, egg-free ceasar salad to butter not-chicken, you’ll have enough choices that you won’t mind when your eating partner snafoos something off your plate. A great option, especially if it’s not just veggie-sauruses in the crowd. They only have a couple vegan-friendly choices, but they’re well worth trying. Watch the guacamole trio – there’s a hidden bacon ingredient! How many sushi restaurants can you crowd into a small area? The area surrounding New West skytrain station may hold the world record. I’m partial to Hi Sushi, just across the street on Carnarvon. Their veggie bento is a great deal and the owners are cute enough to put in your pocket. It’s not exactly a vegan-mecca, but there are a couple options such as a the chili at Re-Up without the cream on top (yes, they tried it with meat at one point, but as of this writing, it is meat-free). You can also get a delicious tea latte with soy milk at Great Wall Tea Co, grab a whole loaf of warm, soft, bread from Pamola Bakery – pickup some vegan cheese at Donald’s to have yourself a picnic – and try one or more of the sorbets at Tre Galli. Usually they have a whole case of choices and I betcha you’d never guess they’re dairy-free. Did you know Spud Shack’s gravy is vegan? And it’s delicious to boot. They have a good number of choices including a scrumptious chili poutine and you can slather vegan chipotle may on just about anything. Their homemade veggie burger can be made vegan – just ask! 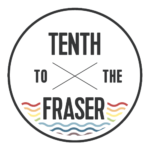 There’s really only one place to eat in Sapperton if you’re vegan (also recommended for carnivores, omnivores, celiacs, and every single person who appreciates beautiful food). [Editor’s Note: Greens and Beans deli has some good vegan sandwiches, too]. Thai New West is an underappreciated gem, hidden next to an archery shop on East Columbia. They import and blend their own spice mixes and have a specially modified kitchen to make traditional curries. Let them know that you’re vegan and get everything without the fish sauce. Are you a noodle aficionado? Try their pad thai. 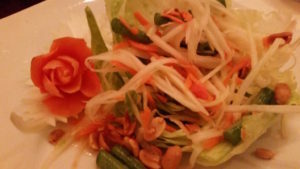 Interested in a spicy papaya salad? Treat yourself to a beautifully plated piece of artwork. Do you prefer a red, yellow, or green curry? You’ll probably need to come back to try all three. Their lunch specials are a great deal and their black rice pudding is much more delicious than it looks. If you hadn’t heard of Thai New West… you’re welcome. Alejandro Diaz is so committed to creating a new vibe on Columbia Street, he hired a crane to help install a 1000-pound tortilla maker in his new restaurant, El Santo. He could have just imported tortillas or sourced them from a supplier, said Diaz, but it’s details like freshly-made tortillas that will set his new venture apart, and solidify New Westminster’s growing reputation in foodie circles. The machine, which he imported from Mexico, is a big, expensive commitment and the stakes are high. El Santo is the first tenant to open in the commercial ground floor of Robert Fung’s gleaming new condo tower that rises 20 stories above the historic facades of the historic Trapp and Holbrook blocks. The Edwardian structures were built in the late 1800s, then rebuilt after the great fire of 1898 destroyed much of the city’s original downtown. The Trapp Block was once a department store. The Holbrook was a hotel and saloon. Both fell on tough times when the lustre left the city’s Golden Mile, as Columbia Street was once known in its heyday. Fung’s Salient Group acquired the structures in 2005 then bided its time until New West was ready for a project to spark its historic downtown much as other Salient projects have transformed Vancouver’s old Gastown district from tacky tourist haunt to a chic urban destination for new restaurants, bistros and boutiques. That passion is percolating, said Kendra Johnston, of the city’s Downtown Business Improvement Association. 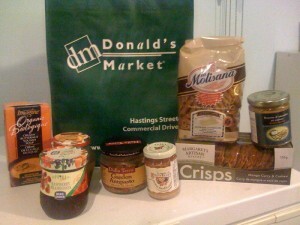 A selection of food from Donald's Market. Photo: Matthew Laird. I had to take a field trip to answer this question. So over the past two weekends I jumped on the Skytrain, shopping bags in hand, to visit each of the Donald’s locations. First up, Commercial & 8th Avenue. The first thing I noticed upon entering was the vast selection of beautiful produce. For a market its size they were very well-stocked. Typically there’s an inverse relationship between price and quality for produce, but a few quick spot checks revealed very reasonable prices. I was particularly impressed by the wide selection, having some non-traditional items for North American grocers such as enoki mushrooms and garlic stems (items I typically have to head toT&T for). I began wandering the store exploring what other wonders it held. It’s a small store, packing a lot in to a small footprint. Knowing the size of the River Market building and making a guess about how much Donald’s will take up, this is a good sign that this merchant is willing to maximize space usage. Too often, small store size means small selection. Not here. Every inch of space was used; staff were continually wandering around restocking shelves. Going down any aisle typically involved a polite “excuse me,” while sucking in your gut to squeeze past (some of us more than others these days. I’ll definitely take advantage of the opportunity to walk home with my groceries). But again, here I noticed the difference from your typical Safeway or Save-On-Foods: a lot of specialty items and organics. The Asian food aisle was like a T&T highlights mini-store – almost everything I use when cooking the other half’s cuisine. The Italian section … I’ve never seen such a large selection of whole grain pasta. It was difficult to spot one that wasn’t either whole grain, organic or both. But this didn’t mean huge mark-ups either. Turning around to the opposite side of this aisle, there was an amazing selection of sauces, pestos, antipastos – everything you’d need for an authentic Italian meal. I know there’s a balance between 100 mile and supporting authentic, non-industrial producers of products that may not be made locally, but I won’t get in to that discussion at this point. The next weekend I went to visit their other store on Hastings at Nanaimo. This store is about twice the size, giving a little more space in the aisles and a lot more shelf space. I’m sure the security guard was wondering why this guy was slowly walking up and down every aisle, examining every product. As someone who’d have become a chef in another life, I was like a kid in a candy store. The first thing I noticed was the hot food counter. I remember Mark Shieh from the River Market said Donald’s customizes its stores for the local neighbourhood. The Commercial Drive store had more of an Italian feel, but this store with its hot Chinese food, sticky buns, and such counter had more of an Asian feel. Makes me wonder what localization the New Westminster store will have. This store was also busy! That doesn’t mean crowded, but like the Commercial Drive store it was unquestionably popular with the neighbourhood. This didn’t slow the checkout lines, however. Both stores had enough staff at the checkout, typically with line-ups no more than one customer long. A nice change! I also noticed a lot of people carrying bike helmets, which I hope we’ll see at the River Market store. I’m not going to give a 100% positive review. Despite all this good, there was one item glaringly missing: a butcher. There was packaged meat, as you’d expect from any grocery store, but there wasn’t a butcher or fish counter with products such as thick-sliced bacon or fresh-carved fish fillets. 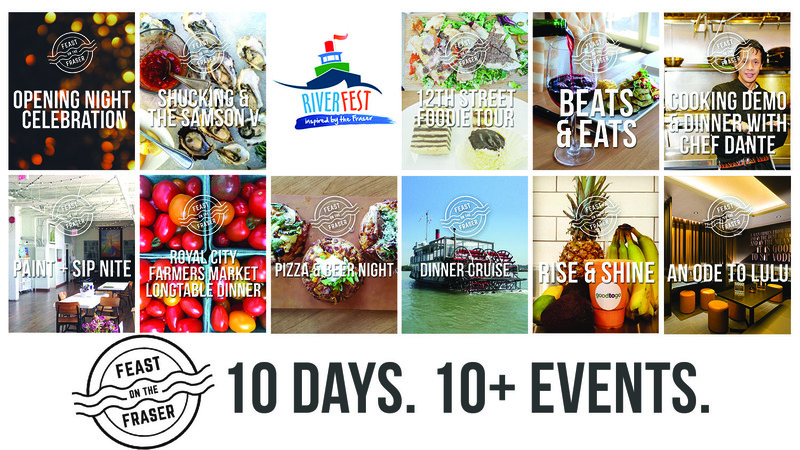 However, having heard Mark’s vision for the River Market, I’m sure this is an item that will be addressed either through Donald’s or through separate butcher and fish vendors setting up shop in the market. I need to find a closer source of the pork belly for my Chongqing recipe that goes along with the garlic stems mentioned before! I was already excited about getting our market back, but after seeing for myself this shop which my one witness had raved about, I’m even more excited! Donald’s will be a fantastic addition to the Quayside and Downtown neighbourhoods.